Create Smart Cities boosting community resources and talents: PilotCity is partnering with the City of San Leandro, California, and tech company OSIsoft to enroll college and university students in the development of highly innovative technologies for urban applications. 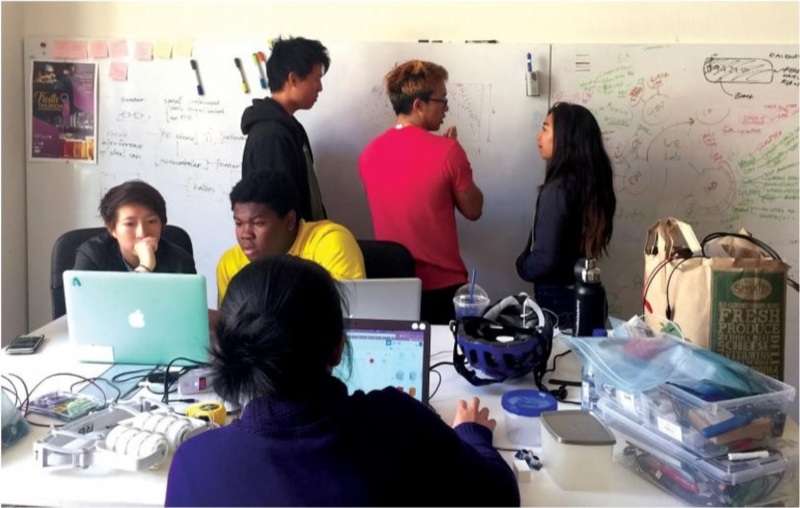 Leveraging PE Smart Urban Network – the smart platform which in San Leandro enables smart streetlights and other services – a group of Harvey Mudd College students worked on a Smart Waste project, dealing with all hardware and software components. The new smart trash cans are expected to debut in San Leandro in the next few months thanks to the engagement of the City’s Public Works Department.